Saliva is a true workhorse among bodily fluids — it breaks down food for digestion, keeps harmful bacteria in check and neutralizes acid that is destructive to tooth surfaces. So when saliva flow is chronically diminished, it’s more serious than the uncomfortable feeling of “dry mouth” — it can have a detrimental effect on your overall health. It’s normal to experience temporary mouth dryness: in the morning (because saliva flow slows during sleep), when we’re under stress, or after smoking or consuming certain foods and beverages like onions or coffee. But chronic dry mouth (“xerostomia”) is different — the mouth remains dry for extended periods, leading to problems like tooth decay caused by inadequate acid neutralization. 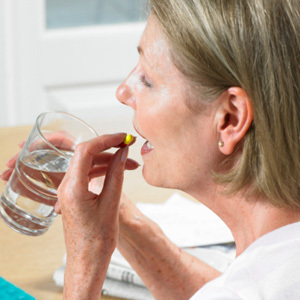 Medications are one of the most common causes for xerostomia. According to the Surgeon General, there are over 500 medications — both prescription and over-the-counter — that can cause it, including antihistamines, diuretics and antidepressants. Radiation or chemotherapy used for cancer treatment may also cause dry mouth, sometimes permanently. There are also systemic conditions that affect saliva flow like diabetes, Parkinson’s disease, cystic fibrosis, and many autoimmune diseases. Treating chronic dry mouth will of course depend on the underlying cause. If drug-related the first approach should be to find a substitute medication that won’t as readily cause reduced saliva flow. If that’s not possible, then it’s helpful to drink more water when taking the medication (a few sips before and a full glass afterward). You can also cut back on caffeinated, acidic or sugary foods and drinks as well as alcohol, and refrain from tobacco use. A saliva stimulant might also help. Besides prescription medication, there are other products like xylitol, a natural alcohol sugar found in chewing gum, toothpaste or rinses, that help increase saliva flow — and xylitol also inhibits the growth of decay-causing bacteria. The most important thing for chronic dry mouth is maintaining consistent daily hygiene through brushing and flossing and regular dental cleanings and checkups. Helping to increase your saliva flow and making every effort to prevent dental disease will help keep this condition from harming your teeth and gums.